This entry was posted in Ramro Nepal 尼國記事 and tagged Nepal, 尼泊爾, 節慶. Bookmark the permalink. I really like your articals which about Nepal. And I plan go to Nepal on 2016.12.23. May I ask you a few questions via email? 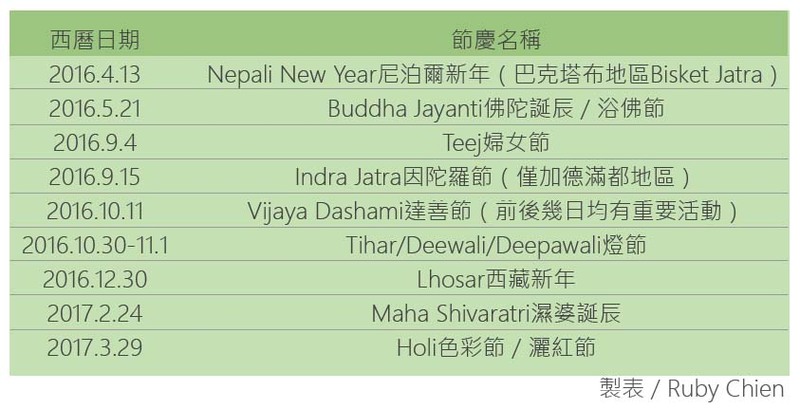 First, is it safe for a person to travel in Nepal ( 加德滿都 / 波卡拉）? Or do you have some suggestions about travel in Nepal? By the way, do you have any suggestions about stay in Kathmandu and Pokhara? And the traffic from Kathmandu to Pokhara? I hope this e-mail will not bother you.